There are many things in life that I take for granted and, before becoming a mom, I assumed that public education for my children would be one of them. I was wrong. My children go to public school but I no longer take their education for granted and that’s because I’ve had to go through numerous fights with the school districts to get it. This is a fight that many parents of children with special needs know too well. Lucas is on the Autism Spectrum so he is protected by a Special Education law called the Individuals with Disabilities Education Act (IDEA) which says it is his right to receive free appropriate education (FAPE) from the school district. Appropriate education should be uniquely designed to meet his needs. The problem develops when the parent and school differ on what “appropriate” means and sadly, as I’ve learned, this doesn’t mean they need to provide the best education for him, just an adequate one that’s enough to get him from one grade to the next. 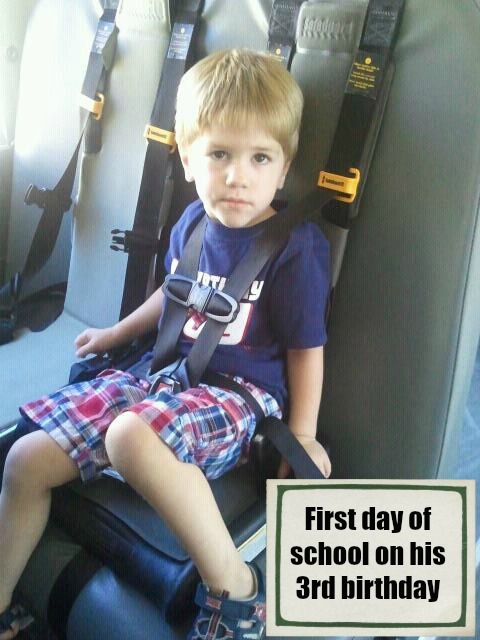 My fight for my youngest son began before his first day of school even started. Having been in the state’s early intervention program, his first day of public school was the day he turned three years old which happened to be during the district’s extended school year (also known as ESY or summer school). The school insisted he be put in their general education preschool room even though I was adamantly against it for a number of reasons. They told me they’d see how it went then we’d meet once the new school year started and if he needed to be moved to their special education classroom they’d do that (after the school year had started). I repeatedly told them I didn’t agree with that decision but in the end had no choice but to let the school put him where they wanted to put him for ESY. His first day of school went horrible, as I had expected. The environment in that classroom became unsafe for both him and the other children. He had numerous meltdowns and had escaped the room a couple times. The staff in there was not trained to handle children with special needs. And I’ll never forget the homework he came home with that first day. My child, who had just turned 3 that day and had a speech delay, was being asked to “describe a baseball game using your five senses”. This child who spoke only a handful of words, didn’t know what baseball was and didn’t know any of his five senses, was definitely in the wrong classroom. The teachers in the room, and finally the Principal, also ended up realizing that the general education setting was not appropriate for him but I still had to fight for weeks to have the meeting scheduled for before the school year started. They kept insisting we’d just have another meeting once the school year started and then he was would be switched to the other program. To me, it didn’t make sense to start the school year in one program and move him a week in and I believed that would be detrimental to him, causing unneeded stress and problems. They finally agreed to have the meeting before the school year started and changed his placement to a Special Education classroom. He was put into an appropriate classroom for the school year that was specifically designed for children who had Autism. It was a small class size with numerous aides and therapists in the room at a time and ran a couple hours longer than the typical preschool day. There were picture schedules, repetition, built in therapy and everything my son needed- including a room staffed with people that understood and had experience working with children on the Autism Spectrum. Lucas had two great years of preschool. The last year he even started taking a daily trip to the general education classroom (accompanied by an aide) to spend 15-30 minutes at a time in there, testing a new environment. Having found success in those short periods of time in the general education class, Luke’s team decided to give him a split day when he went to Kindergarten. Since our neighborhood school didn’t have an Autism specific classroom they bussed him across town, to the school that did. Though our district only had half day kindergarten, Luke would spend the whole day at school because they felt that academically and socially just a couple hours was not enough for him. He would go to AM Kindergarten in their Autism classroom, eat lunch, and then spend the second half of his day (accompanied by an aide) in the PM general education Kindergarten classroom. It was the best situation that I could have dreamed of and it was designed to give him everything he needed to learn. He’d have one on one assistance and a smaller group for some of the day but still get some time to interact with children who were higher functioning and could model language and social skills which is what he had been missing in the Autism only classroom. A few months into the Kindergarten school year we ended up moving to a new district and I found myself fighting for his educational needs again. This was a smaller district with a smaller Special Education staff and budget. The district didn’t offer full day kindergarten and wouldn’t allow him to go to both the AM and PM sessions. They also did not offer a special education classroom or would bus him somewhere that did like the other school was doing. So they cut his school day in half, took away his time in a special education classroom, took his bus services away and reduced the amount of time he worked with therapists. They still gave him an aide to help him as he navigated the school day but I felt completely defeated. Almost everything I had fought for was gone. To make matters worse, my son went from being in the middle of his class academically, to being in the bottom one percent by the end of his Kindergarten year. So he started off first grade extremely behind and, though I think he made huge advances during his first grade year, he is still behind. Now he’s headed into second grade next year and I’m back to fighting the school district again. This time I’m trying to get him in our district’s extended school year program (or ESY) for academics. This program helps children who have shown academic regression in the past so that they don’t fall even farther behind than they already are. Though my son has in fact shown regression previously, and was in summer school last year, I was told that this year the Special Education director of the district said he doesn’t qualify because of his test scores. My son, who is going into second grade and can’t put letter sounds together to read words, does not qualify for academic summer school because his reading test score, at the bottom 27% of his class, is not “low” enough? That reading test score of 27% was with assistance, since my son requires help taking all tests, which only makes me wonder what his test scores really would be if he had taken it himself and not had help. In my eyes he is qualified because he has previously shown regression and is behind academically so I have to call the Special Education Director and try to get her to reverse her decision by asking her to actually look at his file, his IEP, his teacher’s notes and perhaps even talk to his teachers and therapists (who all felt he would benefit). 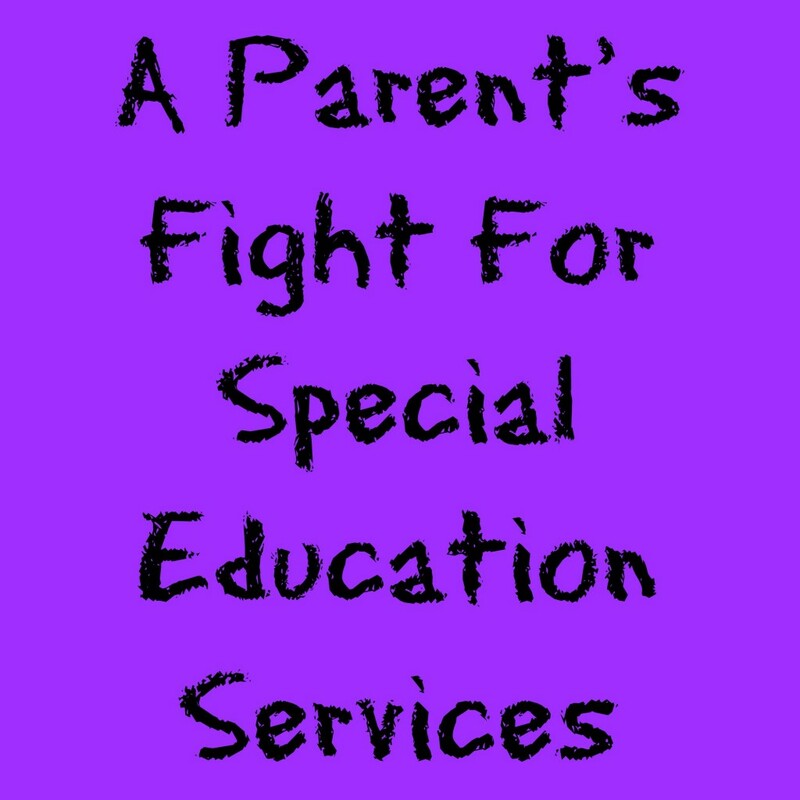 I just wish that parents of children with special needs didn’t have to fight for Special Education services that our children need. Our children are entitled to an education that is tailored to their special needs and a placement that will allow them to make educational progress. I’m not satisfied with my child just barely making it to the next grade. Scoring in the bottom 27% on a reading test (that he had help with) and being told the school district views that as “acceptable”, when reading is the basis of almost everything else he will do in school, is not okay. I want him to have a shot at success, like every other child does, and I’m going to fight until he has an even playing field. Have you been through a similar struggle? I’d love to hear from you in the comments below. I am so sorry you have to go through this again. My son is starting Kindergarten this year and I am already dreading the issues I *might* face. Hoping you get some resolution soon and your son gets equipped with what he needs. Hugs! I personally have not gone through the struggle that you have. That story is awful how the child was not well taken care of in the classroom at first. My niece though is on the autism spectrum him, she’s now 23 and she’s thriving! Keep fighting for your son it works! My daughter was tested by our district and they said she didn’t qualify but put her in a special ed preschool classroom as a peer model. I knew that she needed help, I was an ESL teacher in a very urban setting and spent years fighting for services for kids that weren’t mine, I knew how the system worked. I took her to be evaluated at the local children’s hospital and waited until I had the all the results and recommendations and then I brought it to her school (she was now in a different school, her permanent one) and TOLD them what services she needed. The principal and the special ed team asked why I took her to be tested because they could have done it. I told them she was tested by the city and they said she didn’t need services and being I was a teacher and know how the system works I did it this way. Now because she has outside documentation, it could not be denied. I never had a problem getting her any services after that. Keep advocating and get outside documentation and keep copies of everything. Bring someone with you to meetings as a witness just in case. I think that is horrible that you have to fight for your son with the public school system like that. I hope you have luck with your latest battle and he gets the help he needs for the next year. I am blessed because we live in an area that values special education for both children with learning struggles and with advanced learning capabilities. It has made life much easier for our family. I am so sorry to hear about your experience. Our son is also on the autism spectrum and began school in a small special education classroom specifically for kids with autism when he was four. He did amazingly well and I truly believe this is because we had a team of understanding educators that listened to our opinions and embraced his needs. He even entered kindergarten on time, without hassle. This year he will begin third grade with an IEP consisting of just one hour of special education services per week, specifically geared to assist him with reading comprehension and inference. Good for you for advocating for your son and not stopping until he gets the services he deserves! Horrible that you have to go through this. However, I wish you the best of luck and you are an awesome mama for fighting so hard. As a former teacher I know this all too well. It is so sad that the schools are so underfunded that they make parents jump through hoops to get the education their child needs. Wow….what a sad, but still inspiring story! I’m so sorry you’re going through this, but you sound like you have a great attitude! Hopefully the schools will be able to get it together for the sake of the children. Your story sounds so familiar. My son had a 504 plan all the way through high school and we had to fight for so much just for him to be able to be successful. It really is horrible that schools cannot manage to ensure that ALL kids receive quality education. That makes me so sad and mad for you and him. There is so much beurocracy in our school systems that needs to go away so the focus can be put back on our kids, and off of the funding problems. I wish you luck in getting his needs met, so that he can excel to his highest! That means a lot, thank you. I love all you are doing for your daughter as well. It takes a strong mom to do this every day but it’s worth it for our kids! I am in the process of fighting the school district because I feel my son is entitled to another year of school. He turns 21 the end of August. I would really like to talk to you more.